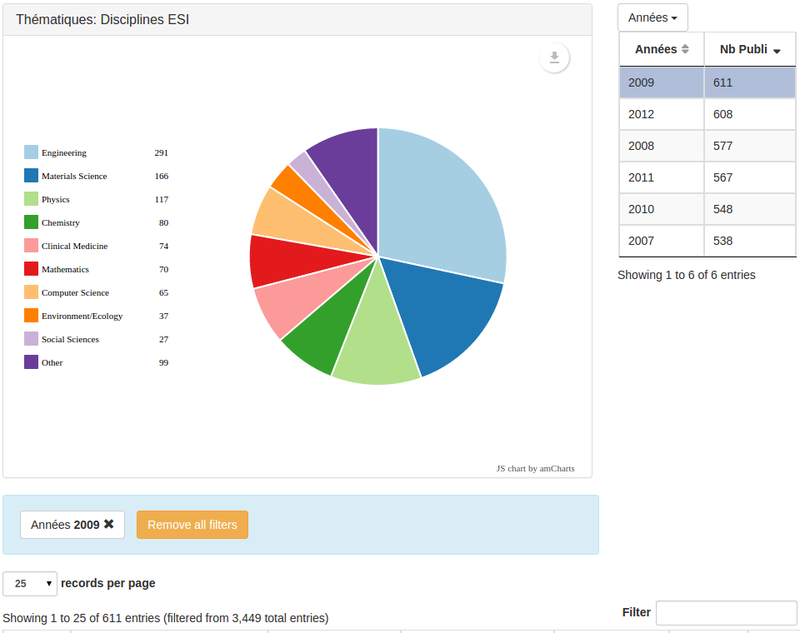 In a chart page, you can add facets: others fields' values. The first facet has a help field, which will appear as a tooltip. The first facet won't have pagination buttons, as its paging field is set to false (this is useful when there is only one page to display). The second facet changes the lable of its second columns to #Publi, instead of Occ by default.